The Independent Music Awards has announced their 12th Annual nominations, and it includes many great names from the independent country/roots world like Rachel Brooke, The Boomswagglers, Lucky Tubb, The Steel Wheels, Tom VandenAvond, JP Harris, Langhorn Slim, and The Carper Family just to name a few. Celebrating the democracy of creativity and meritocracy of talent, The Independent Music Awards honor exceptional independent artists traditionally ignored by mainstream media and big box retailers. For the past 12 years, artists and labels from around the world have found new fans and prominence through The Independent Music Awards. Winners will be determined by a panel of judges that include varying talent from the independent music world, including Tom Waits, Del McCoury, Jim Lauderdale, Brandi Carlisle, “Weird Al” Yankovic, and Kevin Lyman from the Van’s Warped Tour. Fans can also register to vote. The Independent Music Awards nominate albums and songs from nearly every genre of music and include many international artists. Here are the nominees most relevant to the Saving Country Music world. Who would you vote for? 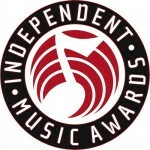 The winners for the 12th annual Independent Music Awards have been announced! See complete list of winners. These awards don’t pull their nominees from the greater music world, artists or labels must submit their artists to be considered for nomination. I don’t know for sure, but my guess is Billy Don Burns was not submitted, along with many other artists. Thanks for clearing that up. I wondered why he wasn’t nominated. I heard that Lily & The Parlour Tricks song a few months ago and couldn’t get it out of my head. Glad to see them on this list. It would be great if Run You Down won best Alt. Country Song. I love the fact that a song about running over your cheating wife makes me feel so happy when I listen to it. Awesome giving that JP Harris Album some mad respect! Whisky Row is my brothers band. He didnt win but at least they were nominated.